Since many of our readers are young fashion designers, owners of fashion ateliers and fashion entrepreneurs, we would like to present you an opportunity for a new business or a good start of your career. One of the biggest factories for production of men's suits, Richmart, is building a network of agents and resellers of custom made suits. The whole idea is based on the production of Fast fashion. 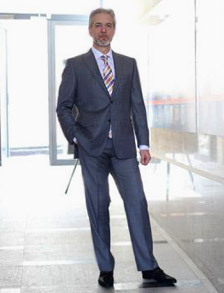 The factory offers high quality custom men's suits with a production cycle of only 2 weeks. This allows consumers to take advantage of current clothing styles at a lower price. They will also get a custom made suit that will fit perfectly. Over 400 Italian and English fabrics in stock and a variety of Italian linings, buttons and felts guarantee the diversity of the models, which you can't find in an ordinary store. The factory is a partner in the International fashion design project Men's Style and will also produce the models of the fashion designers, participants in the project. So, there will be a variety of designer suits to offer. If you have a fashion store or atelier, why not start to offer custom men's suits? 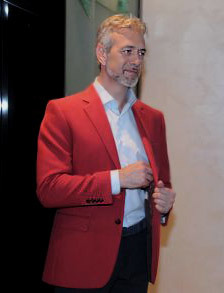 The suits are produced from wool fabrics and are suitable for all seasons. A made-to-measure tailor from Richmart will train you for free how to take measures from the customers.